I’ve eaten here on several occasions and have really enjoyed the food and drinks. I choose to sit on the bar side when I’m with friends and want a more relaxed and fun environment to enjoy my drinks. When I’m with family and want a faster experience I prefer the dining side. The ambience is on point and the staff is always friendly! 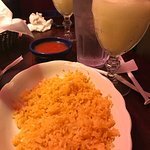 This is the Mexican restaurant I choose when I want a good meal at a great price! I will keep coming back! Picked up a togo order and it was hot and ready. Tamales & Fajitas with chips/salsa. Very good fajitas, the steak was cut thin and the flavor was wonderful. Compared to other restaurants in L.S., these were the best I've had in a very long time. 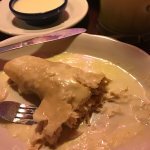 My wife's tamales serving was more than we expected and very tasty, she really liked them. A lot of food for the money - even the chips & salsa "to go" were very good. I look forward to returning to dine in - well worth the time & money. Best steak dishes in town without question. They have the standard chicken, beef, pork, etc., but LS lacks no more when it comes a good steak burrito, fajita, or anything else that desires well prepared steak. Best margarita specials without the compromise on quality of drinks, which is a huge issue with other places. My wife and I went to the same restaurant in blues springs, but not sure why it's not listed. The food wasn't bad and was fairly quick for how busy it was, but not a fan of the one big open room concept, good to have separation of space from bratty kids and loudmouths. 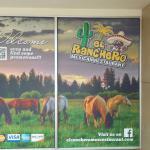 Been to El Ranchero Lee's Summit? Share your experiences!